Super luxury cars are the absolute epitome of what you can expect from an automobile, with unmatched style, incredible performance, and the latest in high-tech comfort and convenience amenities. 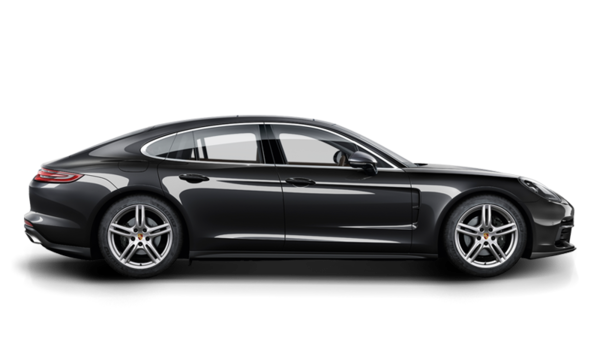 In this elite category, the Porsche Panamera is the cream of the crop. Here's what you can expect from the 2018 model year of this exquisite sports car. Porsche has introduced two new versions of the Panamera for 2018: the Panamera Turbo S E-Hybrid and the Sport Turismo. The latter is a larger, wagon-inspired body style that slots above the base and Executive models to offer expanded passenger space and more cargo room. It provides 18.3 cubic feet of trunk space compared with 17.6 cubic feet in the base Panamera. The S E-Hybrid is one of two plug-in hybrid models offered for the Panamera. Not only does it reduce your carbon emissions, it's also the most powerful version of this vehicle ever produced. The combination of a 4.0-liter, twin-turbo V8 and an electric motor produce a blistering 680 horses. By contrast, the lower hybrid trim of the Panamera provides a still impressive 462 horsepower. This vehicle is also available with a wealth of high-tech driver assistance features, including a rearview camera and front and rear parking sensors on the base model. The Panamera is ranked as one of the most reliable cars on the road by the J.D. Power and Associates Predicted Reliability Study. Experience the vehicle named as the best super luxury car on the market by U.S. News and World Report. The Panamera is a Motor Trend Car of the Year finalist and has the best resale value for a high-end luxury car according to Kelley Blue Book. If you're ready to take the Panamera plunge, visit us at Momentum Porsche today for your test drive. Our expert sales staff is ready to take care of you.